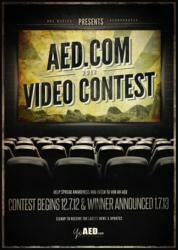 With a brand new automated external defibrillator (AED) as the grand prize, AED.com is holding a Facebook Video Contest through January, 7th, 2013. We have very active fans that are just as determined as we are to spread the word about AEDs. With the their 100 AED Giveaway winding down in 2012, AED.com is holding a video contest on Facebook through January 7th, 2013. Contestants are instructed to create a 1 to 3 minute video detailing a person or organization that they would donate an AED(Automated External Defibrillator) to in their name. AED.com is encouraging their Facebook fans to get creative with their video, whether it be humorous, serious, or informational. The video with the most fan votes will win a brand new Automated External Defibrillator (AED) and AED Wall Cabinet valued at $1,800. With a current AED.com Facebook fanbase of 36,000 people, the page is growing by hundreds every day. "We have very active fans that are just as determined as we are to spread the word about AEDs," commented Justin Darby, Director of Marketing. "Hundreds of them have even saved one or multiple lives with an AED. Their stories are just incredible." 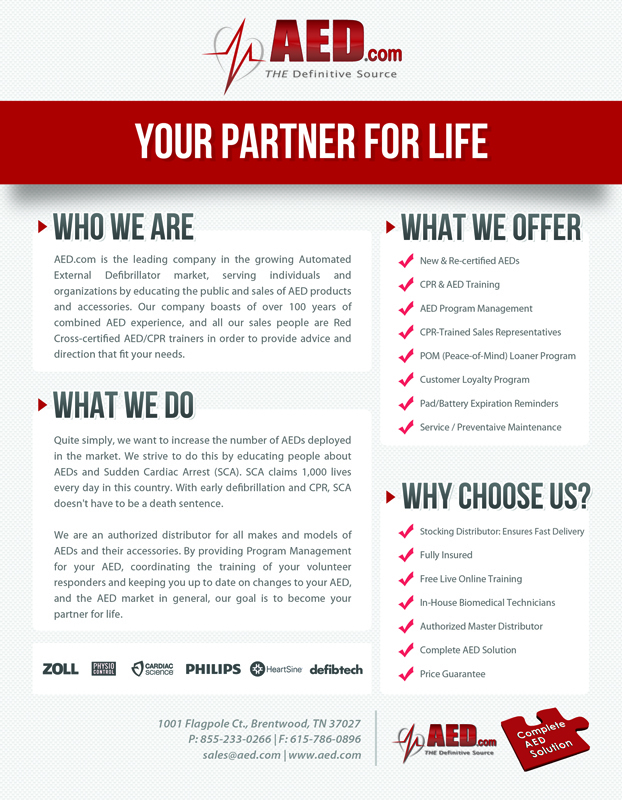 AED.com's mission is to spread awareness about Sudden Cardiac Arrest and the importance of rapid defibrillation with an AED. Currently, over 350,000 U.S. residents suffer from Sudden Cardiac Arrest and the vast majority of those do not survive. With the help of an AED, however, survival rates could drastically increase.